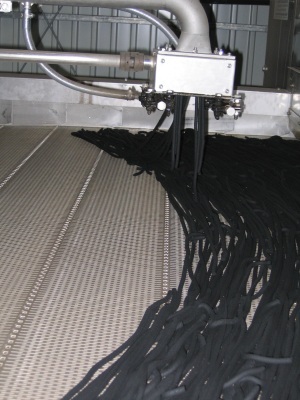 By using a centrifuge, 25-30% solids dewatered sludge is extruded onto the conveyor belt. The solidified product strands form well on the belt before entering the dryer. The drying belt goes through several individually controlled heating zones. Depending on your needs continuously preheated fresh air is supplied for the process. Almost all of the process technology parameters can be continuously adjusted. Thus, it is possible, depending on the application to set the optimum process stability. Fully automatic control of the operation is possible without supervision. 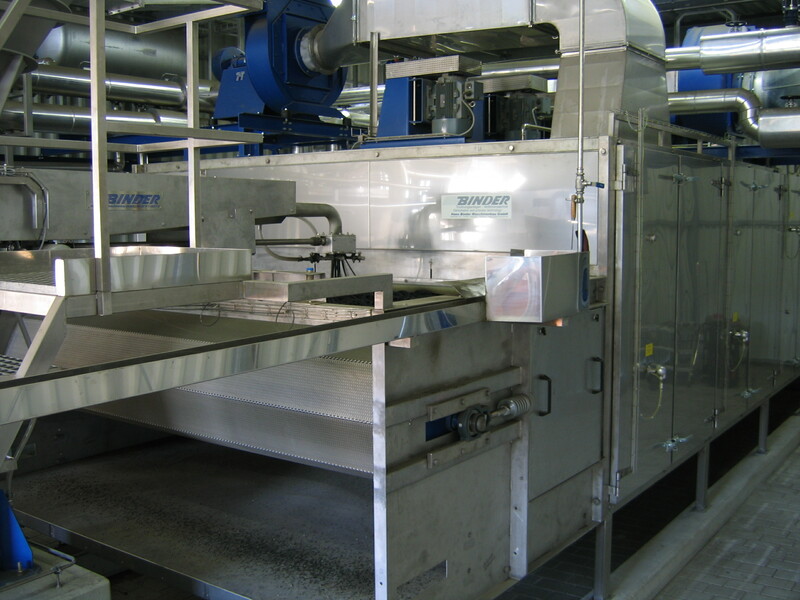 Both the mechanisms for loading the wet sludge, as well as for the discharge into a container, are offered by BINDER through the appropriate filling and handling equipment.